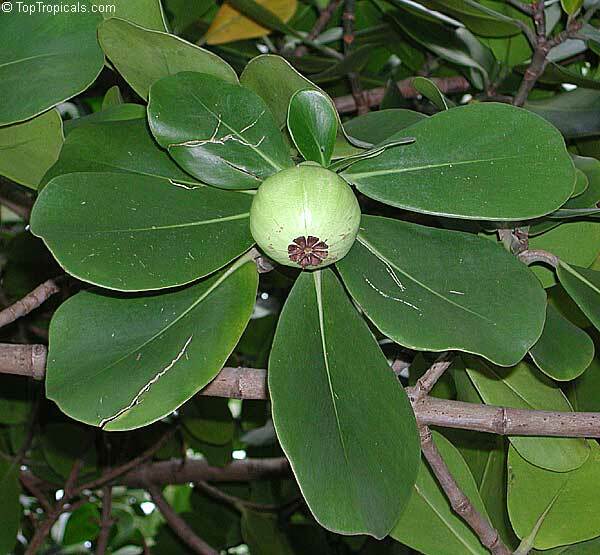 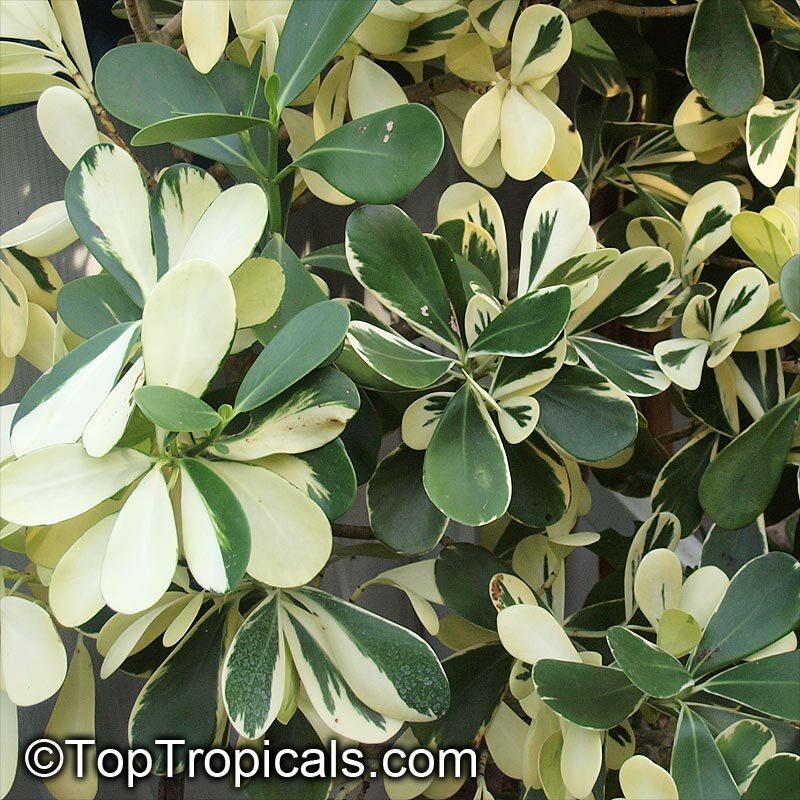 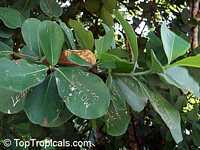 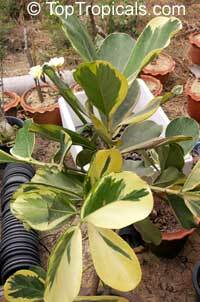 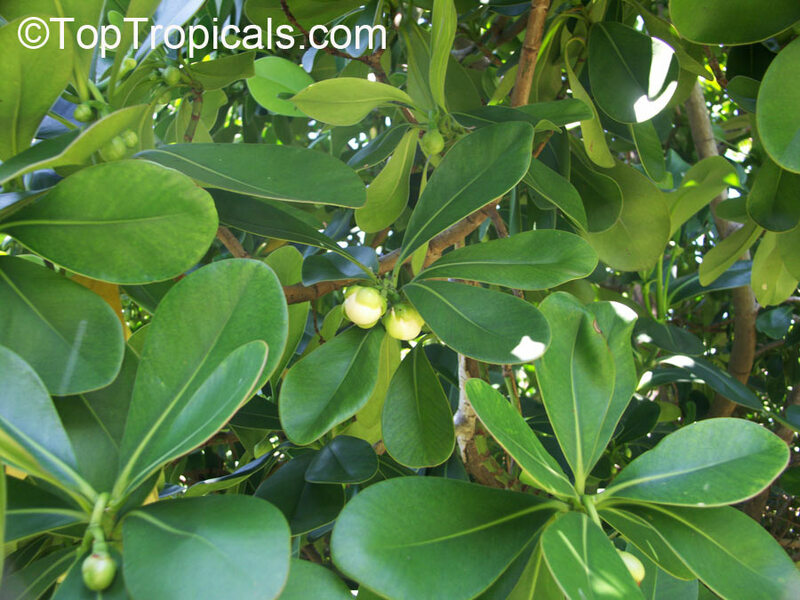 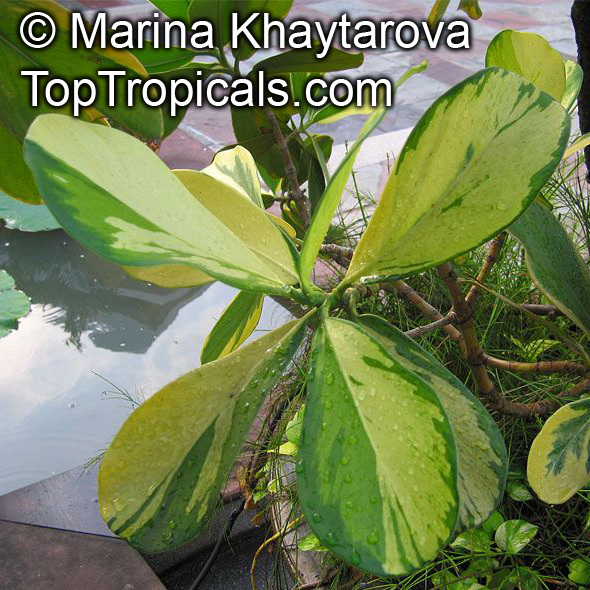 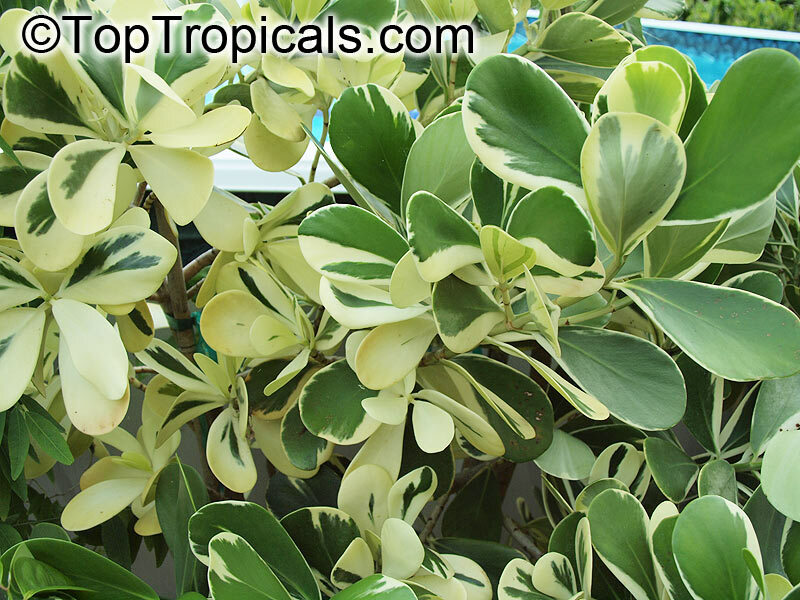 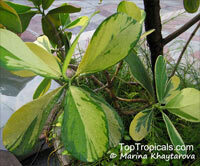 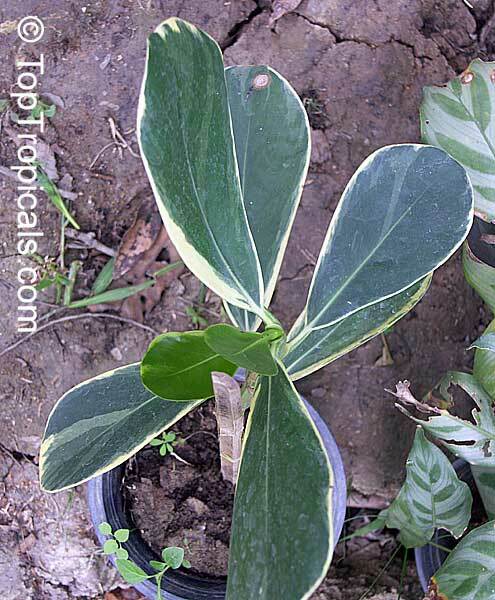 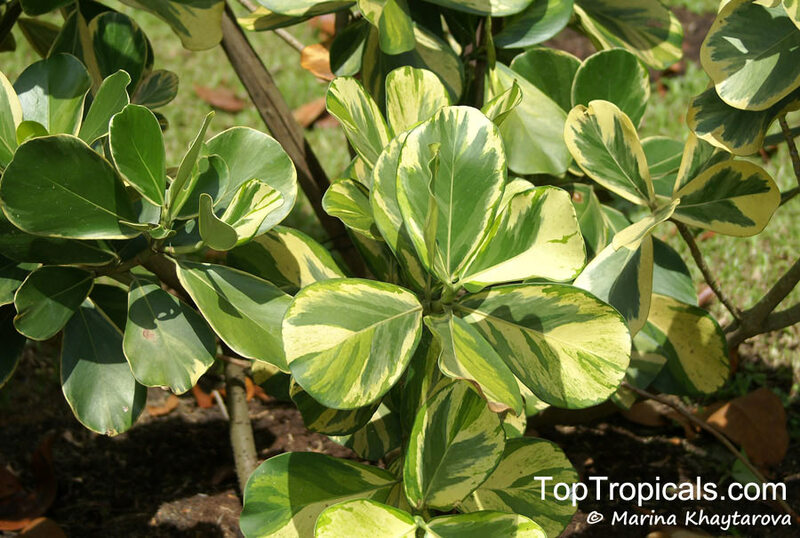 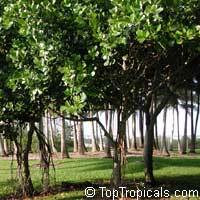 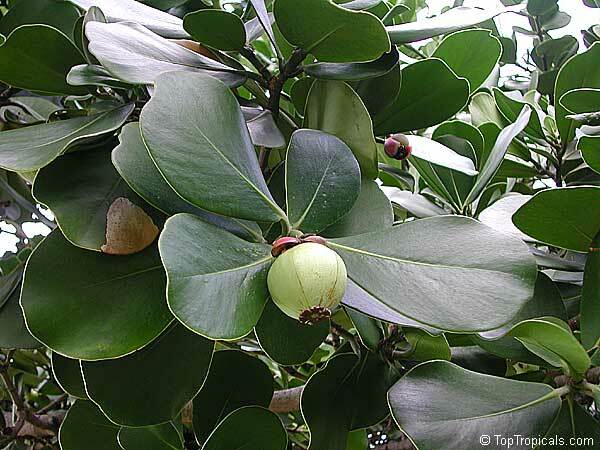 A beautiful evergreen tree with large thick waxy leaves that are persistent. 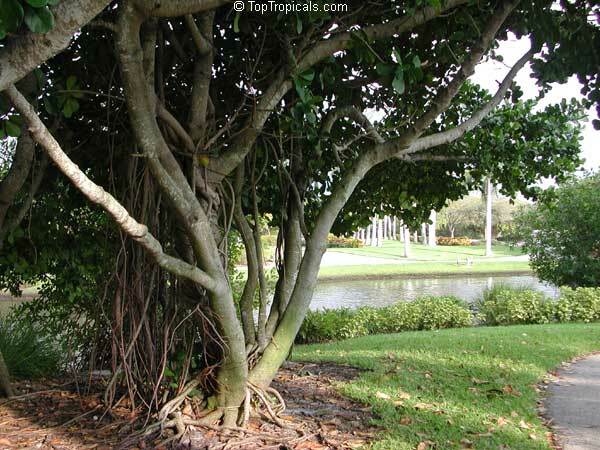 This native tree grows to 30' and spreads out. 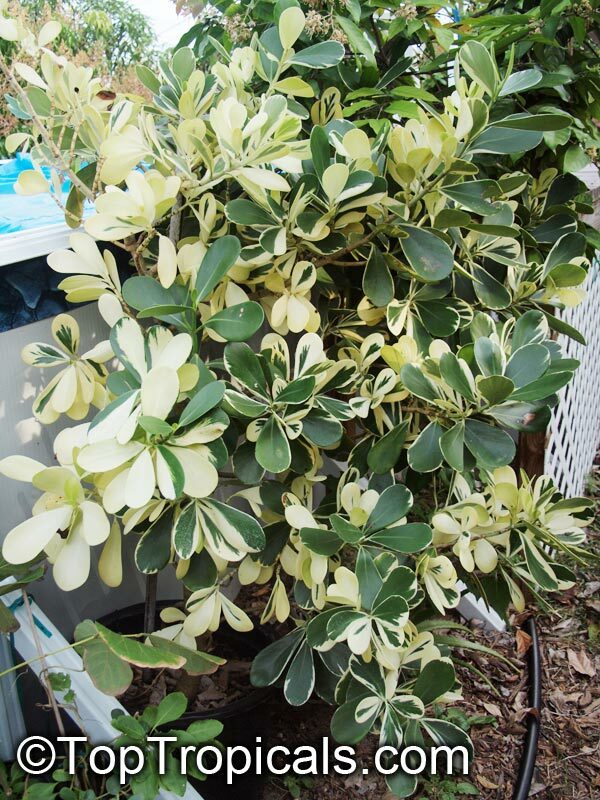 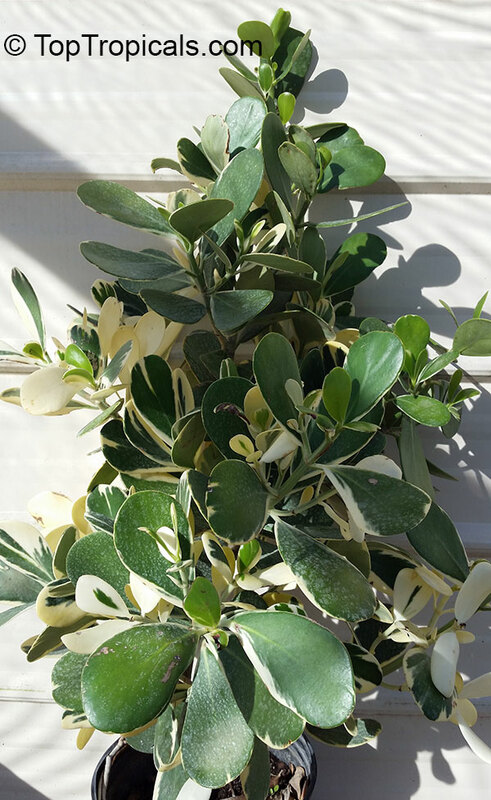 Can be grown in container as a small tree. 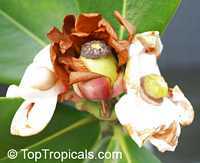 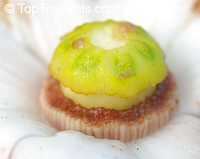 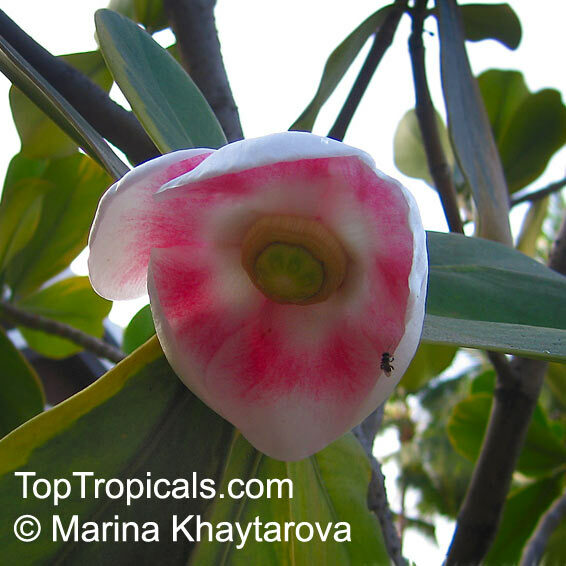 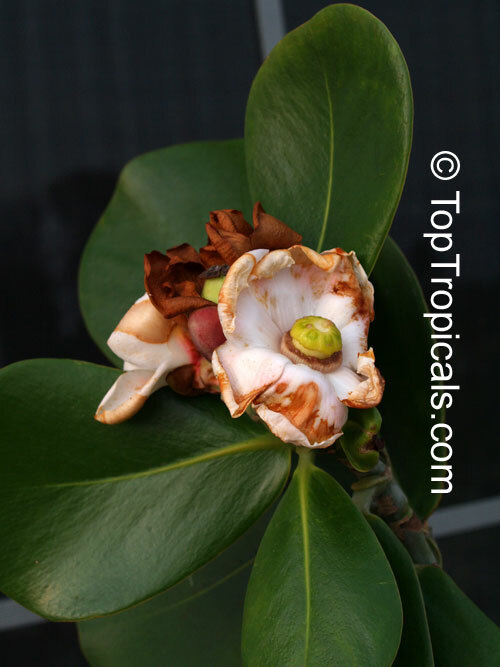 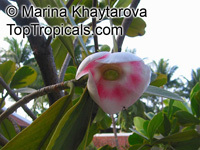 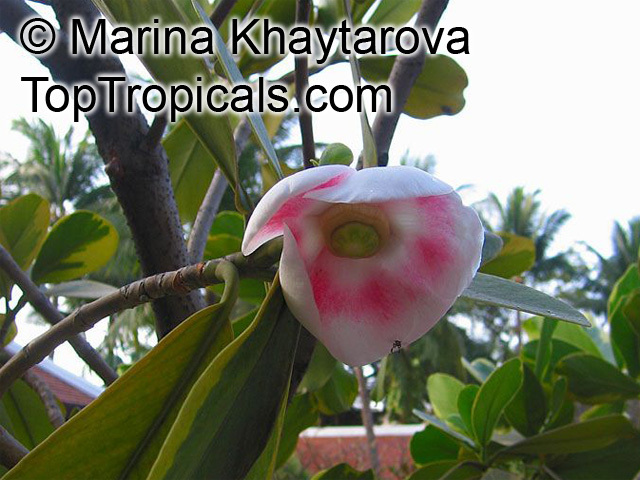 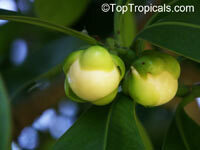 The flowers are 1.5-2 inches wide and pink and white followed by apple like fruit. Requires little maintenance and is salt tolerant. 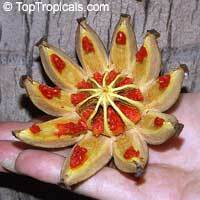 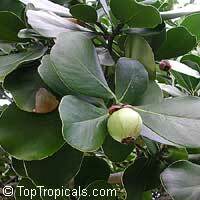 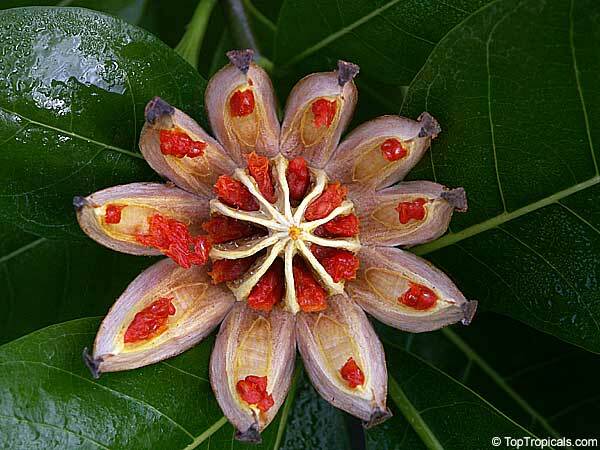 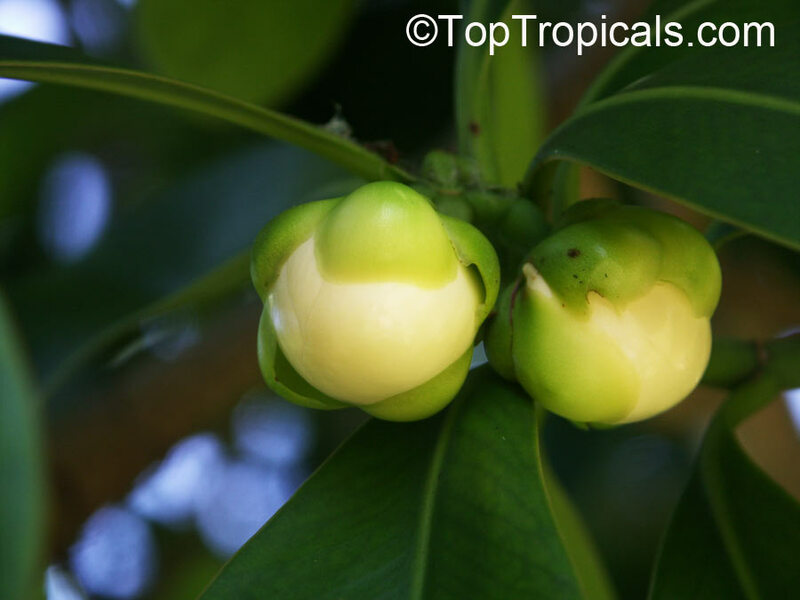 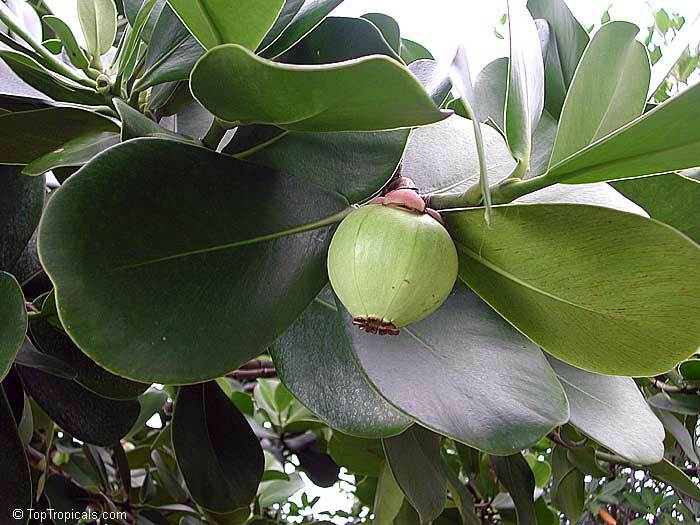 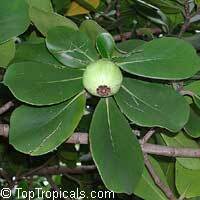 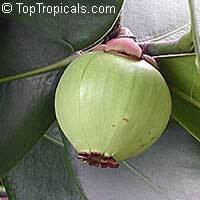 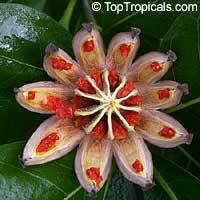 Widely grown as an ornamental in tropical regions of the world. 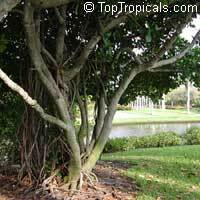 In Hawaii, it is commonly planted as a street, parking lot, or specimen tree. 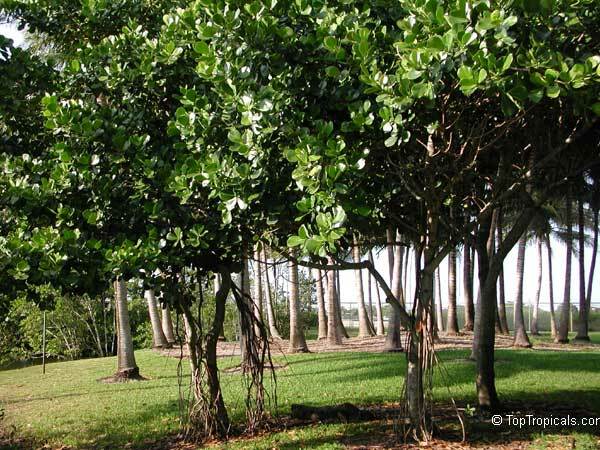 Plants readily spread from initial plantings to surrounding areas. 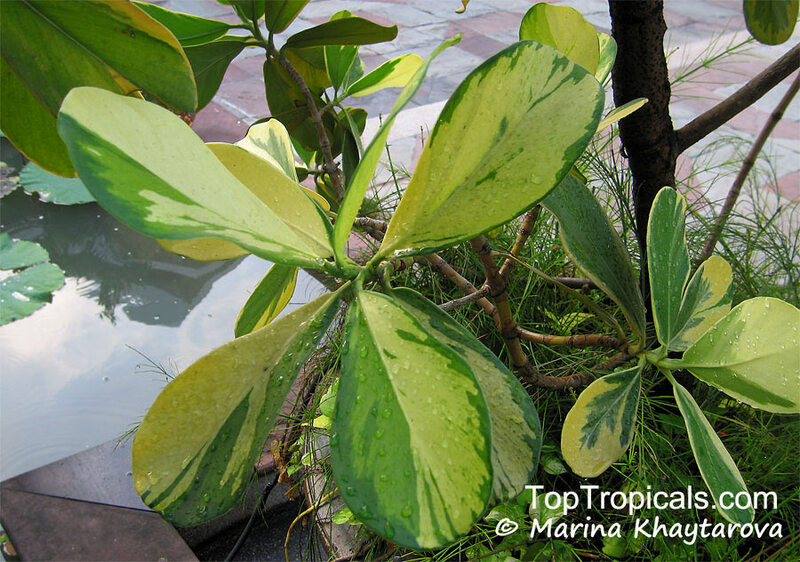 Plants thrive in a variety of environments from dry barren lava landscapes to steep cliffs in wet areas. 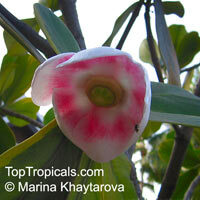 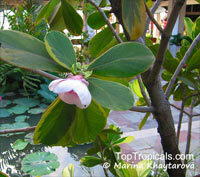 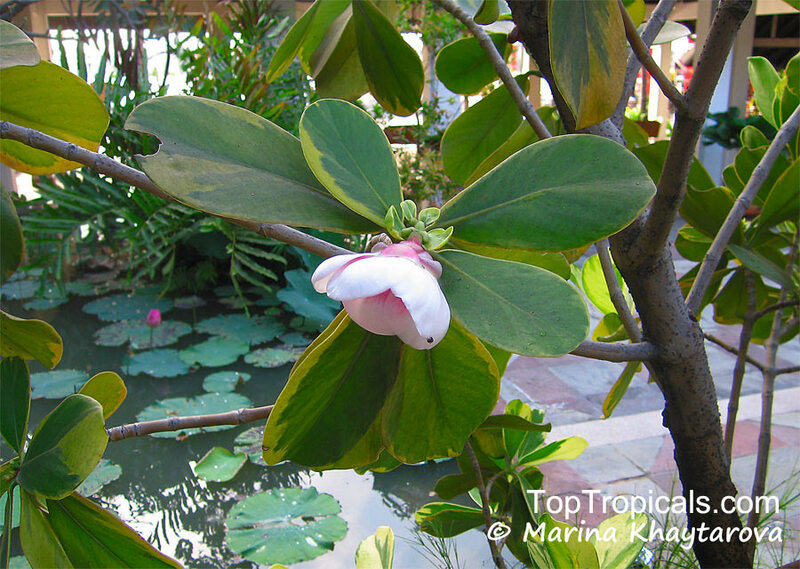 Ever-blooming, flowers are off-white with pink centers, slightly fragrant at night. 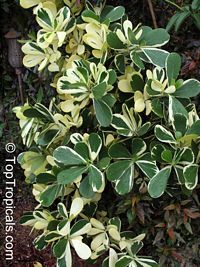 Tolerates both sun and shade, blooms in shade easily. 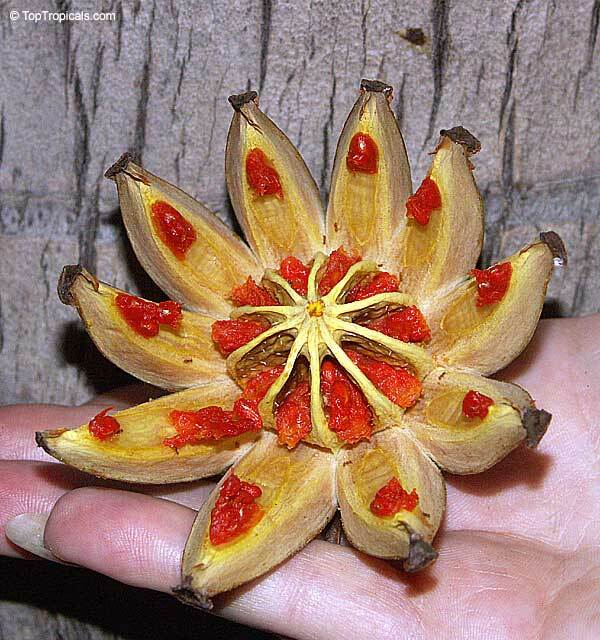 The seeds are presumably bird dispersed. 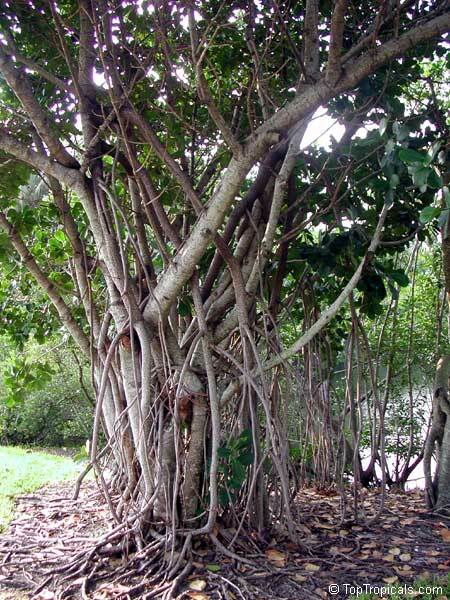 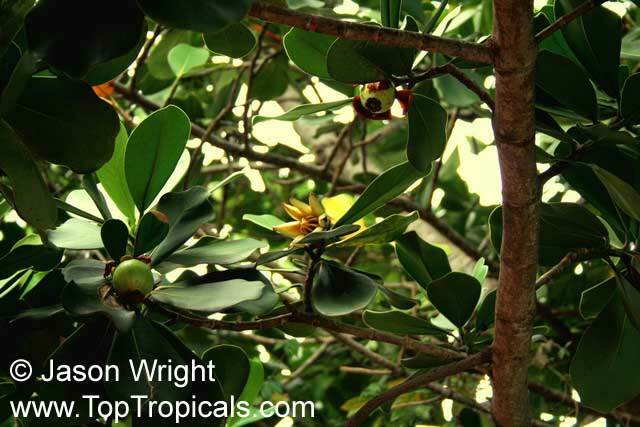 Like strangler figs, can germinate in the crotch of other trees and grow as epiphytes. 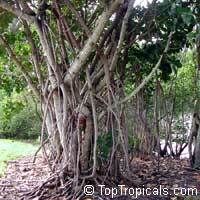 They send down aerial roots and will eventually smother the host tree. 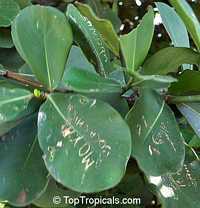 The leaves have a special effect: you may write with a sharp stick on the surface, and the writing will stay forever. Thus the common name of this plant! 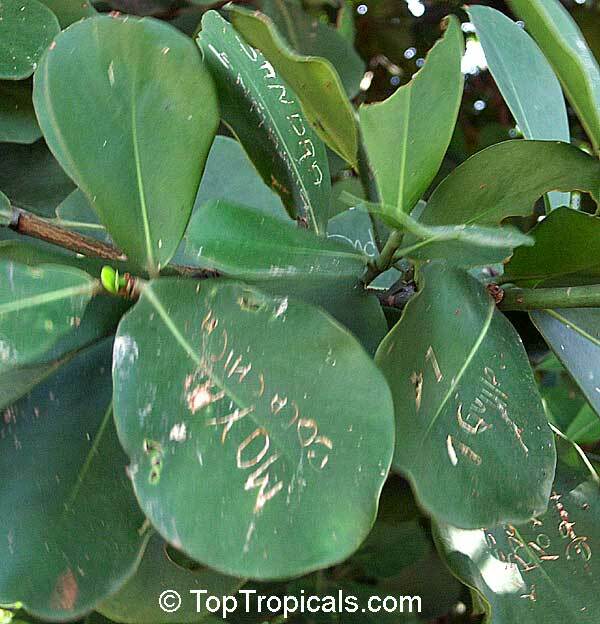 Everyone wants to sign Autograph tree!